Cardiac tamponade, a life-threatening condition also known as pericardial tamponade or simply tamponade, occurs when the heart is compressed by a large mass of fluid (usually blood, but can also be pus, clots or even gas) in the pericardium. The pericardium is a layered sac that is wrapped around the heart. If left untreated, cardiac tamponade can lead to hypotension, shock, and inevitably, death. Unfortunately, there are no current specific suggestions for prevention. There are, however, many risk factors and potential causes to consider. 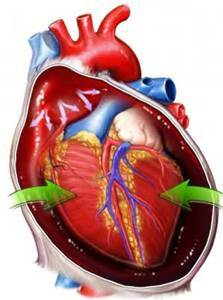 One of the main causes of cardiac tamponade is the use of chest tubes. These tubes are usually used after heart surgery to allow fluids to drain. These tubes, however, can become blocked with blood clots, allowing fluids to instead gather in the heart cavity. Pericardial tamponade can also be caused by pericarditis, which is an inflammation of the pericardium. Bacterial and viral infections can cause this inflammation. Any form of blunt trauma can cause cardiac tamponade. 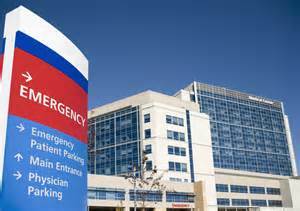 This includes, but is not limited to, gunshot wounds, stab wounds, car accidents, and even issues that arise from medical procedures such as cardiac catheterization and pacemaker insertion. Certain physical diseases and conditions can cause tamponade as well, such as lupus, hypothyroidism, kidney failure, and cancers in or near the heart, including lung cancer. Symptoms of cardiac tamponade (or pericardial tamponade) can be simple as feeling over sleepy or fatigued to severe as a stabbing sharp pain in the chest which can radiate to other areas of the body such as shoulders, neck, abdomen or back. The pain or discomfort can usually be relieved by sitting down or leaning forward. Uncomfortable symptoms, like trouble breathing, inhaling deeply and breathing rapidly, are also noticeable. Victims may also have very pale skin or skin that looks tinted blue or gray. Other symptoms of tamponade include anxiety, restlessness, dizziness, low blood pressure, weakness, swelling of different areas of the body (abdomen, arms or legs) and veins, and even loss of consciousness. There is not one specific test used to diagnose cardiac tamponade. Instead, there are several simple and complex medical tests specialists use. A weak pulse and/or low blood pressure – because of the reduction of the amount of blood the heart is pumping. Neck veins extended – because of the veins working too hard to return blood to the heart. Suppressed heart sounds and a rapid heartbeat – because of the growing mass of fluids inside the pericardium. Echocardiogram, or heart ultrasound – This test shows if the pericardium is swollen and also if the ventricles have caved in because of low volume of blood. Electrocardiogram – This test assesses the heartbeat. Chest X-rays – These can show to specialists if the heart is enlarged, which is typical of cardiac tamponade. Magnetic resonance imaging, MRI scan – An MRI scan is used to view the heart’s structure to look for abnormalities. Thoracic computed tomography, CT scan – A CT scan is used to look for alterations to the heart and/or to look for an accumulation of fluid. Coronary angiography – This test, consisting of special x-rays and dye, reveals the insides of the coronary arteries. These arteries supply, to the heart, oxygen-rich blood. This test is also used to look for plaque build-up in arteries. Cardiac catheterization – With this procedure, a catheter is inserted in another area of the body (groin, neck or arm) and threaded to the heart to potentially locate abnormalities including excess fluid. First, and foremost, cardiac tamponade requires hospitalization. This ailment is considered a medical emergency! Once diagnosed, doctors will begin by stabilizing the patient by relieving pain and the pressure on the heart. In order to relieve the pressure, doctors will drain the fluid that has accumulated in the pericardium. Draining is typically done by performing pericardiocentesis, using a needle to directly remove the fluid. If necessary, thoracotomy, a surgical incision into chest wall (or pleural space of the chest), may be performed. This procedure is more invasive but may be necessary in order to remove blood clots and/or drain blood if the patient has a wound that is penetrating. While medical professionals drain the excess fluid, the patient will also be administered necessary fluids (usually by IV), oxygen and medications to regulate or increase the patient’s blood pressure. Antibiotics will normally be given to fight any potential bacterial infection. Once the patient is stabilized, further tests will be performed to determine the underlying reason for cardiac tamponade. If possible, the patient will undergo more treatment to heal the underlying cause, or causes, for the occurrence of tamponade.